Innovation = Job Creation: Innovation leads to new products and new revenue streams, and ultimately, new jobs, which is of critical importance to the health of all of our economies. 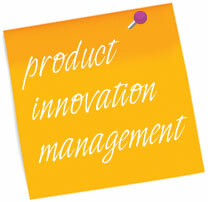 Product Innovator has developed a number of services to enable the successful management and launch of new products and services. Our superior process-driven framework for managing product innovation (Pablo Transformation Process™), and our highly skilled facilitation of Strategic Positioning workshops harnesses internal innovation to highlight a product or services’s unique value proposition. Backed up with market research and qualified customer interest (via our Market Intelligence and Customer Insight Processes ™) our approach maximises the potential of delivering products and services that customers value. This facilitated approach enables the client’s whole company to work together, to deliver world-class customer value.